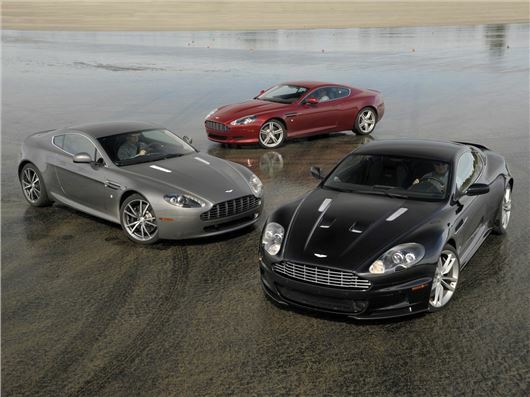 British supercar manufacturer Aston Martin has announced that it's creating a technical partnership with Mercedes-AMG. Although few details of the deal have been announced so far, joining forces with Mercedes-AMG will give Aston Martin access to resources which will assist it in the development of a new of V8 engines to replace the ageing units it currently sells. Replacing the the current V8 and V12 powertrains is a massive investment for an independent car manufacturer without a larger technical partner. Given AMG's's excellence in this department, and with the back-up of the might of Mercedes-Benz, it would seem that Aston Martin now has the resources to move on from its current power units, which are very loosely based on Ford technology. Not only that, but given AMG's V8 engines are some of the best in the world, this is very good news for Aston Martin. Aston Martin and Mercedes-AMG signed their letter of intent today (25 July 2013) after months of speculation over the future of the British company. Although the company is now in relatively safe hands, it didn't have the financial muscle to go it alone on future models. The home option of Jaguar Land Rover was ruled out some time ago - we asked a senior executive at the British company, citing synergies between the two, and he told us that as much as JLR would like to work with Aston Martin, its priority was with its own performance marque, Jaguar. Daimler AG will own a stake of up to five per cent non-voting shares in Aston Martin depending on the progress of the agreement. The company will join the existing shareholders that include Investment DAR, Adeem Investment and Investindustrial. The technical partnership will support Aston Martin’s launch of a new generation of models that will incorporate newly-developed bespoke V8 powertrains. Aston Martin has confirmed that the engine supply deal will not affect the overall production process, which takes place at the company's headquarters in Gaydon.